Whole body Massage Techniques and Aromatherapy products are used in all of our Swedish, HotStone and Shiatsu massages and are customized to your individual needs. We use cold pressed Organic oils and creams which do not contain harmful paraben preservatives or propylene glycol. 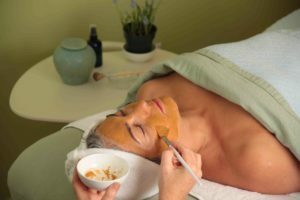 Our facials begin with gentle cleansing and skin analysis so that we can custom blend our products specific for your skin type and concerns. We utilize relaxing steam, upper body massage and apply extraction. All our cleansers, toners, hydrosols, masks, serums, and moisturizers are plant based and have all natural ingredients . All our luxurious body treatments and salt scrubs are finished with a customized Aromatherapy Massage. The oldest recorded massage therapy in human history. Ancient Egyptians applied pressure to reflex zones in the hands and feet which correspond to the body systems. This reflex-zone pressure heals and balances our body, giving us a sense of deep well-being. For those of you who want to hold hands when having a massage…. 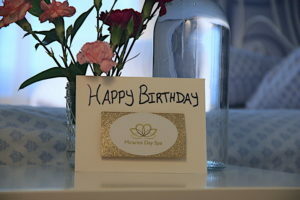 Instant on-line Gift Cards are a convenient way of selecting the perfect Birthday, Anniversary or Holliday gift of wellness for the people you love. Every one needs that meaningful last minute gift idea and instant on-line Gift Cards are the way to go. Our skin is the largest digestive organ of our bodies. What we put on our skin we ingest into our bodies. At Miracles Day Spa, we take pride in that our products are natural nutrition for your skin helping your skin to stay healthy and balanced. Spa Specials and packages are designed with our clients needs in mind. Throughout the four seasons our skin needs different products at different times of the year. 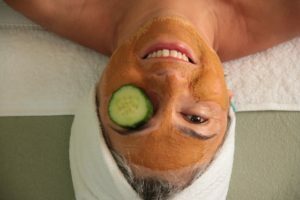 We provide spa specials that deliver what your ever changing skin needs. Choose from aromatic facials, delicious body treatments, blissful massage therapies, rejuvenating yoga class and healing wellness classes. After your spa treatment we invite you to rest in our beautiful relaxation room and enjoy the serene vistas of the properties wildlife. Our rejuvenating spa products are made from flowers, herbs, and natural foods. The products feature the highest quality all-natural skincare ingredients. If looking for a Spa Getaway Weekend – B&B rooms are also available. Under the direction of Christina Powers, LMT who is well known in the area as a gifted massage therapist and natural skin care specialist, has over 30+ years experience . You are in good hands at Miracles Day Spa!